This Icon mug came from Romania. Red is used as its theme color. Muzeul Satului can be seen on the front of the mug and Calusarii Dance on the back. 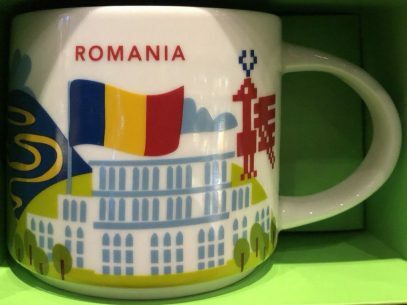 This Icon mug came from Bucharest, Romania. Dark Blue is used as its theme color. 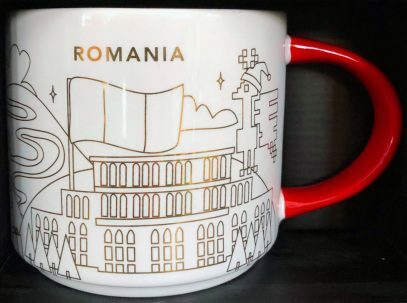 Romanian Athenaeum can be seen on the front of the mug and Arcul de Triumf on the back. 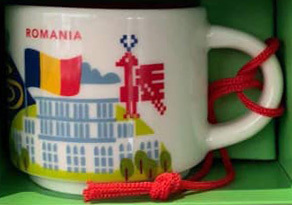 This Icon mug came from Cluj Napoca, Romania. Orange is used as its theme color. Lucian Blaga National Theatre can be seen on the front of the mug and Cluj-Napoca Skyline on the back.